The Parry Game Preserve has been a little light on 'games' recently, and for that I apologize! 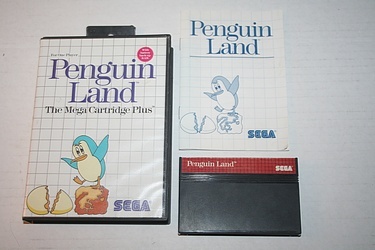 By way of correcting that at least a little bit, let's take a look at another small step on our road to Sega Master System library completion - Penguin Land! Known in Japan, where everything is much cooler, as "Thump Thump Penguin Land: Outer Space Adventure", this game takes the always-popular penguin and puts them on an intergalactic space cruiser...sort of like Jason. Gameplay involves familiar platforming and puzzle elements, as you try to get your egg from point A to point B intact. Gravity is both your friend and your enemy, so be careful! This game graced our shoes in 1986, so was released under the banner of Sega and not Tonka. A very cool note about this cart is that it featured a "super advanced" battery (Zelda style) which let you design your own levels (Excitebike style) and then actually save them to play later. 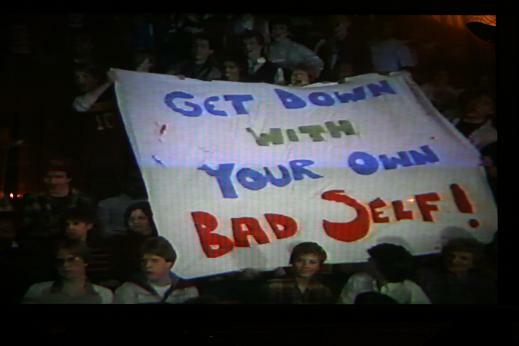 A great idea in theory, and hopefully it worked well in practice. 25 years later, those batteries are a little tired, but hey, they put up a good fight! Oh, and you are a penguin...in space...awesome.